The genre lost its way toward its Final Fade to Black. But their collective memory shall live in our hearts. Forever. 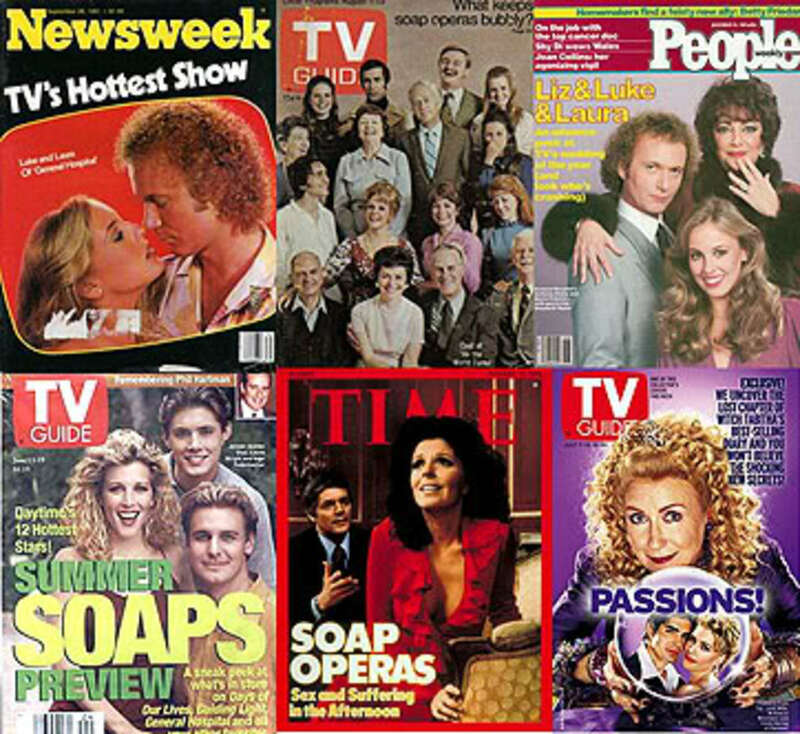 If you are one of the thousands of fans who regularly follow Daytime Confidential, the reportage of our good pal Nelson Branco, the soap magazines or tabloids, the exquisite coverage of Sarah Bibel, the passionate treatises of Tom Casiello or any number of the dozens of other websites devoted to daytime drama, you are no doubt aware that the epitaph of soaps have been all but engraved on a tombstone. The mainstream press also has jumped into the act in recent weeks, stopping just short of rubbing its collective hands with glee over the prospect of the demise of daytime. This is not exactly a new development since the mainstream press has been reporting the fat lady clearing her throat since about a week after the end of OJ&apos;s first trial in 1995. All this gloom and doom is not without merit, make no mistake about it: Viewership for #1 Young & the Restless is at historic lows. Guiding Light&apos;s recent 1.4 rating is an alarming development for the 70-plus year old icon. The entire ABC daytime lineup is sputtering along like a hoopty whose latest tuneup may be its last. 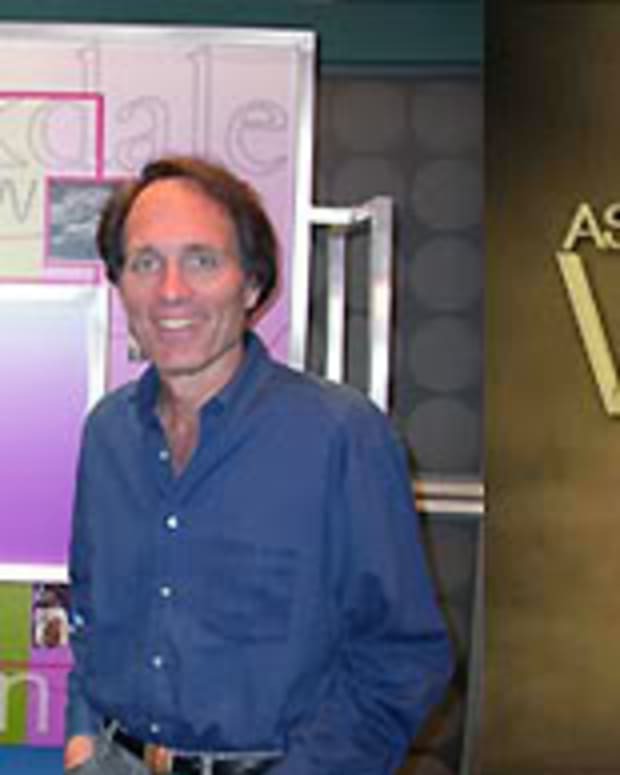 Firing of Drake Hogestyn & Diedre Hall; no more needs to be said about that. The soap version of Ragnarök is upon us. Again. Like any other fan who has immersed themselves in the soap opera that is Soap Opera, I have been as disturbed by all of these "new" developments as anyone. I&apos;m not blind and can see the handwriting on the wall, too; yet I am always curious about whose handwriting I&apos;m reading as much as what&apos;s written. What I mean by that last statement hopefully will become more clear if you bear with me. As long as I&apos;ve been blogging about soaps, both on my now-defunct personal blog and here at DC, I&apos;ve tried to explain why I think that daytime is not on the verge of imminent extinction but in the midst of evolutionary change. There is plenty of evidence to back this assertion up (which I will get to in a minute), but getting that message through is admittedly nigh on impossible. Once a particular narrative has taken hold in the minds of fans it can be hell trying to ask folk to consider a slightly diffrent view. Nonetheless, I think it&apos;s worth a try. I am willing to admit that I could be completely wrong. However, I am reminded of something that my late mother used to say all the time: when you speak things into existence, they are liable to come true. Another way of saying it is "be careful what you wish for..."
Do the fans want Soap Opera do disappear? No, I do not believe we do. But there is something a little off in the incessant negativity in some quarters about the possibility/probability of it all, as if some fans are all but waiting for the final episode of General Hospital or the last fade out of Y&Rto say, "See, we told you so! Nobody listened to us! If they had paid attention to the fans this genre would have been saved! We&apos;re the fans! We know everything there is to know about this genre and if the idiots in charge had only listened, we would still have love in the afternoon!" Soaps are dying. Just look at the ratings! You can read here, here, and here all about them. According to conventional wisdom (which we all know is infallible), soap ratings are so ridiculously low that it&apos;s a wonder our television sets don&apos;t explode with laughter when we tune in, especially to GL and its pitiful recent 1.4. GL and all the rest are doomed! Except there is an obvious question to ask: if soap ratings are so wretched, why are the eight shows we have left still airing at all? Maybe viewers aren’t abandoning soaps. They’re just changing the way that they watch them. I got my hands on some Live +7 ratings for the first four weeks of the TV season. These are ratings that include DVR users who watched episodes within a week of the broadcast airing. The upshot? Almost every soap’s W18-49 ratings increase by double digits in the key Women 18-49 demographic. The most DVRd soap is the young-skewing Days of Our Lives which rises a whopping 27%. The second most “improved” show is The Young & The Restless which grows by 25%. Overall, soaps ratings are 19% higher when DVR viewing is included. To put this in perspective, this more than compensates for Y&R STD-16% drop in W18-49 and makes DOOL, the only soap to maintain last year’s W18-49 average, numbers far more impressive. Interestingly,General Hospital (+22%) and All My Children (+20%) are heavily DVRd, while One Life To Live (+10%) only outperforms Guiding Light (+9%). Our good pal Nelson Branco has reported recently according to various sources that GL is quite likely to have its life support ended some time in 2009. The soon-to-be 72 year old soap could see its last Peapack, New Jersey winter. 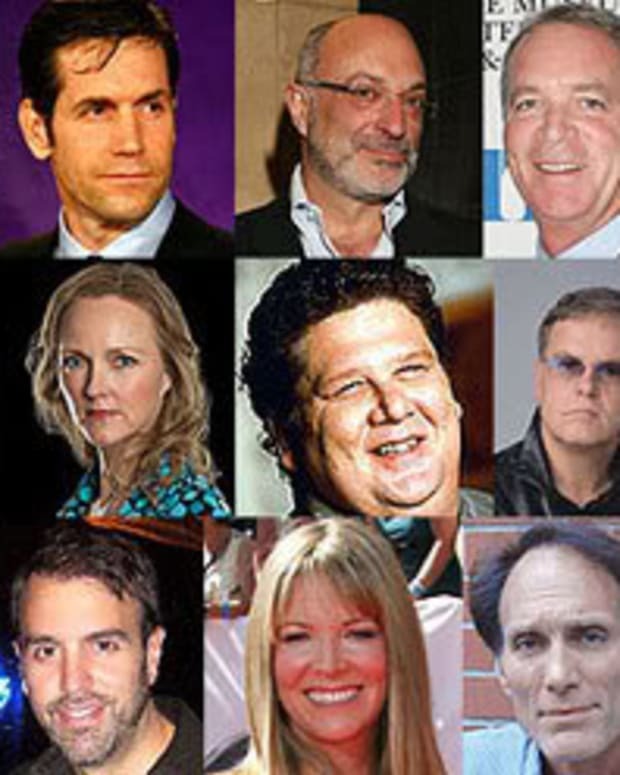 Other observers, like our own brilliant Jamey Giddens, have stated point blank that GL is on its last legs and completely unsustainable after hitting a 1.4 rating and a loss of 21% of the 18-49 demographic advertisers crave following the switch to its current "The Hills"-like production model. Contrary to conventional wisdom on this subject, I am not quite as convinced. Take that 1.4 rating for example. No soap could survive with such low viewership if this were 1984. After all, when The Edge of Night was cancelled during that year, it had a 3.5 rating. Compare that to #1 rated Y&R, which had a rating of 3.7 the week of November 17-21 of this year. By the time EON&apos;s final episode aired, the crime drama/mystery soap garnered a 2.6 rating, which is roughly equal to what Days of Our Lives and One Life to Live received 11/17-21/08 and more than All My Children for the same period this year. The point here is that times have changed dramatically. I could write a long, long (yes, even longer than this) treatise on what&apos;s different between then and now but we already know the dozens of changes that have rocked the daytime industry in particular and broadcast television in general. Perhaps the biggest and most significant one of all is that the networks and daytime executives have lowered their ratings expectations out of necessity since the now-hallowed &apos;80&apos;s. While that may be bad news overall in the long run, it is not as bad as one might think for the near future. How so? Let&apos;s look at GL&apos;s recent 1.4 rating (which is the percentage of households with televisions) another way. For the 2007-08 season, there are an estimated 112,800,000 television households in the US, so 1% of that number equals 1,128,000 households. This means the episodes of GL that aired in its original daytime time slots for the week of 11/10-14/08 when the show hit that all-time low 1.4 rating, 1,950,000 people watched GL. You want to know some of the shows that had comparable ratings to GL for roughly the same period? Everybody Hates Chris (1.7), Stylista (1.2), Privileged (1.4) and Supernatural (1.8). Before anyone says "But they are all on The CW!," keep in mind those series are broadcast in prime time when there are presumably more people available to view them compared to daytime. The upshot is that executives are comparing ratings data across a wide spectrum of analysis that are presented to advertisers. Therefore the idea that a 1.4 rating in and of itself is a show killer might not be as deadly as we might think on first glance. But what about that horrible 21% drop in the 18-49 demographic, accodring to Advertising Age? Surely that spells the end, right? Not so fast. By now anyone not in a coma or with retrograde amnesia knows that all of the networks crave the 18-49 female demographic more than the Nazis craved a certain artifact in Raiders of the Lost Ark. What always gets lost in the shuffle is that while CBS loves that demo as much as anyone, the entire Eye network has always skewed older than NBC or ABC. This is why while ABC and NBC traditionally flaunts its 18-49 demographic successes, CBS traditionally emphasizes households. How does this shake down in Guiding Light&apos;s favor? Simple: GL&apos;s most important demo numbers may not be 18-49 at all, but rather 25-54 where the network usually makes its bread and butter. Accordingly, as long as GL&apos;s 25-54 numbers hold steady CBS might not be quite as willing to pull the pug on its geriatric patient as some folks might think. Last, but certainly not least, here is the answer to the question "When is a 1.4 rating not a 1.4 rating?" Answer: When you add 1.4 + 9%. In other words, when one factors in the additional 175,000 viewers that watched GL on a time shifted basis, its actual viewership rises to 2,125,500. In the current viewership and economic climate, that&apos;s not good but it is far from the equivalent of GL&apos;s armageddon we&apos;ve been leading ourselves to believe. Not only can we apply time shifted DVR numbers to all of the daytime shows per Bibel&apos;s analysis above to get a more accurate picture of what viewership is like, we also see its effects across the entire television landscape including some of our favorites like Lost, 24, Desperate Housewives and Gossip Girl. Love of Life, The Edge of Night, Texas, Capitol, Port Charles, The City, and Another World did not have the benefit of time shifted viewing (DVR, web streaming, or iTunes) to add to their viewership numbers along with time shifted alternative viewing patterns. Therefore when we compare shows that were cancelled at higher ratings of yesteryear to the same day viewing declines of today, the time shifted numbers paint a completely different story. The biggest threat to Guiding Light and every other soap right now is not limited to eroding ratings, which is a broadcast television problem affecting every daypart. Network executives and soap producers are well aware of this issue and are factoring into their decisions about how to save their shows. The biggest and most immediate threat to Soap Opera is the aspect least remarked upon by fans but which everyone else who is even remotely connected to the genre fears is the biggest threat of all: the crashing advertising market, mainly because auto dealers are pulling back on their marketing. If the affiliates aren&apos;t making money, they may switch to cheaper broadcast alternatives like cooking shows, judge shows, or yet another hour of your local news airing at 2PM in the afternoon. As we brace ourselves for the inevitable-likely-probable-possible-maybe banishment of soaps from the daytime schedules of ABC, CBS and NBC, there is another little remarked upon fact that commentators like us almost always overlook: canceling soaps are bad business for the networks themselves. It makes sense for networks to cancel soaps if they are seriously underperforming or are not profitable one way or the other. These shows are businesses, after all. NBC has been most aggressively cutting its soaps for many years as we all know. Under the bizarre leadership of Jeff Zucker and Ben Silverman over the last few of those years, a good argument can be made that NBC&apos;s peacock has shed most of its quality feathers in the lunatic quest to produce ever cheaper programming in the vein of incessant reality shows (Deal or No Deal and TheBiggest Loser), hour long informercials (Knight Rider) and international brokerage deals (Robinson Crusoe) that have managed to land the network regularly in fourth place. So what has NBC&apos;s efforts to kill off its soaps gotten it? Since the 1980s — the only historical benchmark by which we seem to measure soaps these days — the National Broadcasting Company has cancelled (in order) The Doctors (with a 1.6 rating during its last year&apos;s average), Texas (2.7), Search for Tomorrow (2.5), Generations (2.6), Santa Barbara (3.1), Another World (3.0), Sunset Beach (2.3), and Passions (1.5). For a great many of reasons, most of these soaps performed more poorly than the show they replaced or the shows that remained on the schedule following the cancellation of a soap saw their respective audience erode significantly following its schedule mate&apos;s demise. The cancellation of individual soaps is understandable because of ratings woes. Such moves might result in some short term gains for a network, but at some point the wholesale slaughter of a soap lineup has diminishing returns for a network and its affiliates. In NBC&apos;s case, not only did the network experience startling declines in household viewership, they have managed to cede large numbers of its afternoon time slots to its affiliates to air fare like Rachel Ray, Judge Christina or yet another hour of local news. Affiliates love this because they soak up lots of ad revenue during good economic times; the flip side is that they are left far more vulnerable when ad revenues start to dry up without the backup of their network to take up the slack. The network itself loses more than just a chunk of its soap audience, too. Not only does a theoretically stable revenue stream for the network vanish, the network also loses a platform by which to advertise its own prime time shows and other daypart lineups, which is increasingly more important in the ultra competitive entertainment environment. Everything NBC has tried as a network, from game shows to male-hosted knockoffs of The View to expanded hours of the ridiculously overextended Today franchise, have performed more poorly overall than the soaps they were designed to (cheaply) replace. You can bet your bottom dollar (or theirs) that the reasons CBS & ABC have kept their schedules fairly stable with their seven soap offerings is because they know that its cheaper to keep them compared to what NBC has lost by letting its own soap lineup vanish. Even lowly Guiding Light is a more valuable property to CBS at a fairly steady 1.5 same day rating than turning the time slot over to affiliates or airing a third hour of The Morning Show. NBC&apos;s self-immolation also more fully explains why the network continues to keep Days on its schedule despite the network&apos;s well-known desire to exit the soap business altogether. I want to end this with us, "the fans." You know, all of us who are blogging, posting to message boards, subscribe to ABC/CBS Soaps in Depth, run fan clubs, post cliché videos of our favorite couples to some incredibly sappy song on YouTube, or — this is important — are close enough friends with Carolyn Hinsey to have shadow columns. (Marcia from Arkansas, how did soaps ever manage to stumble along without your pearls of post-modernist snarky wisdom and pithy wordplay?) We who are also known as "the fans" have got it in our collective heads that we represent all fans everywhere at all times. We seem to think that the vast majority of soap viewers are like those of us who hopscotch networks, are privy to every spoiler and upcoming plot twist, and follow every casting decision with the same intensity that the rest of the country paid to the recent Presidential election. We do acknowledge disagreements and factions among ourselves, but in our criticism of "the suits" we often speak as if we are of "one" voice. The execs should write what "the fans" want, specifics of which are often contradictory at the very best. Hello Skate, LuSam, Liason, CarJax (not to be confused with CarJackers) fans and your nemesi! I see you peeking! We also think that the soap world turns in a self-contained bubble, where soaps only compete against each other in their respective time slots without regard to any other program that airs against them or market-by-market scheduling consideration. Most interesting enough, we judge our soaps against twentieth century standards in a twenty-first century world. We must disabuse ourselves of such insular thinking. No one who actually works in Soap Opera thinks that way no matter how much they play to the back of the theater about exclusive primacy of "character driven stories." Like any other sector of televised entertainment, the soap world spins at a faster pace with an ever increasing set of difficult calculations that executives, writers, actors, and even advertisers and affiliates must make that we "the fans" who make no spending decisions, who negotiate no contracts, who employ no crew, who deal with no union, who answer to no demographically obsessed advertiser, who license no show nor cut a single check have to worry about. This is not to say that every soap fan needs to be well versed in the arcana of television programming, but there are a many who will say, "I don&apos;t care about all that stuff, I just want my soap to be good." Fair enough, but I think it behooves fans as a whole to be more cognizant of these admittedly complicated issues than we have in the past if we are to be more effective advocates for the survival of Soap Opera as a genre and an art form. To paraphrase Mark Twain, I think the supposed imminent death of soaps is greatly exaggerated.